Email campaigns help you send your survey to a lot of people at once. 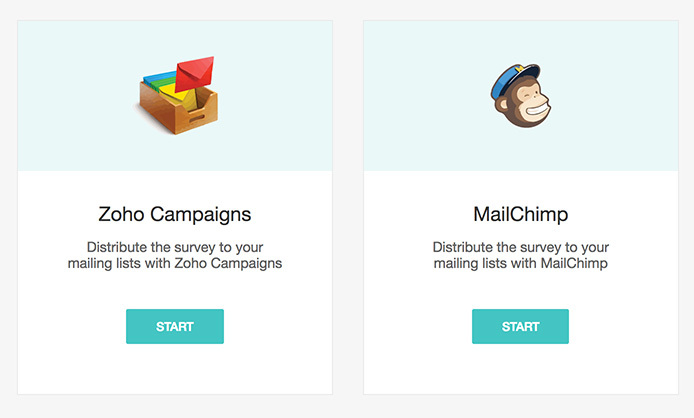 Zoho Survey is integrated with Zoho Campaigns and MailChimp, so you can link your survey with either of these accounts and send your survey to your contacts via an email campaign. Read more on both of these integrations in the respective Zoho Campaigns and MailChimp pages.